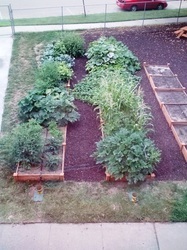 The YWCA of Topeka is developing a community garden to 1) create opportunities for citizen empowerment in addressing neighborhood issues, 2) teach students about good nutrition and outdoor exercise, 3) work with the YWCA job skills program to develop a culinary skills training component, and 4) provide a potential sustainability stream for entrepreneurial youth. The garden is located in the Monroe Neighborhood. The 11 week long Kids Quest summer program utilizes the garden for gardening, nutrition, health, cooking and exercise activities with 75 youth. 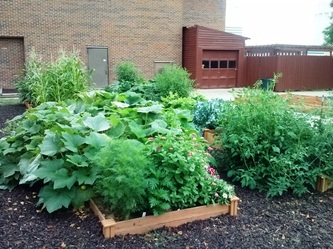 The grant funds awarded to the garden were used for site preparation, to install a drip irrigation system, a picnic table with seating, and to purchase tools and gardening equipment. Click here to learn more about this garden.